Group and excursion photo uploaded. 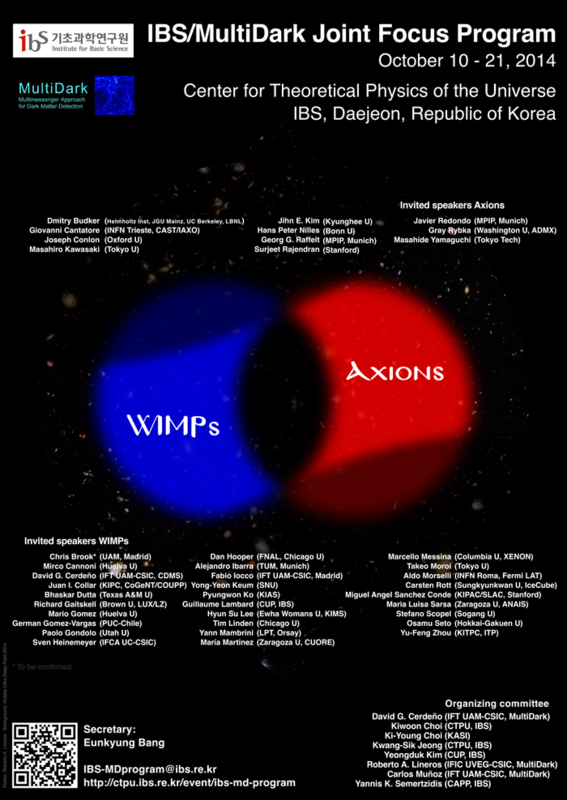 This program is oriented towards WIMP (10th-16th) and axion (17th-21st) dark matter searches, covering also other candidates. The aim is to promote the collaboration and exchange of ideas. The list of invited speakers includes theoretical as well as experimental experts. Main topics of the workshop include: Dark Matter, WIMP, Axion, Astro-particle physics.